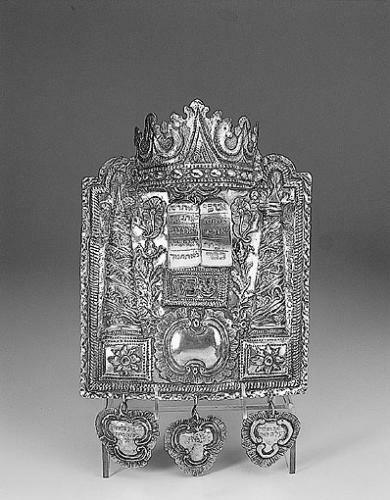 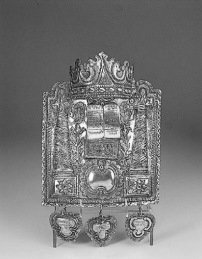 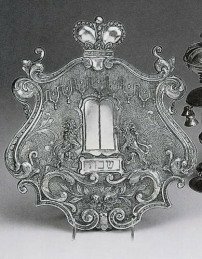 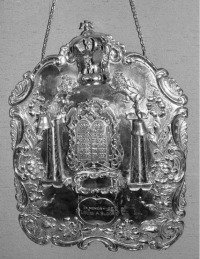 Torah shield (Torah breastplate) is a shield that in a synagogue is suspended by chains over the front of the Torah. 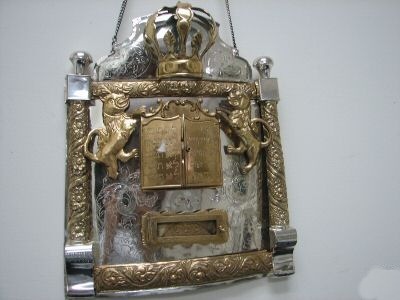 It is usually ornately decorated with embossing to depict symbolic motifs, such as the two columns reminescent of the columns of the Temple of Jerusalem, the Tablet of the Ten Commandments or the Lion of Judah. 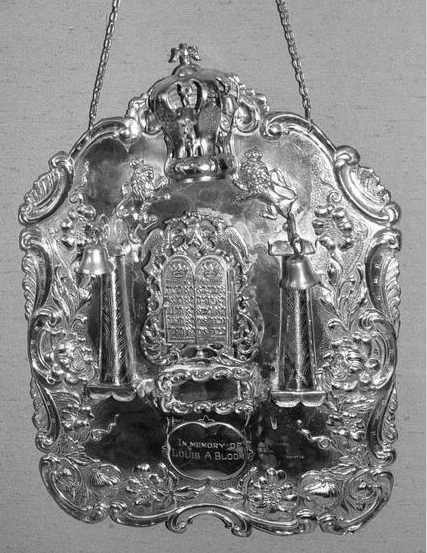 Attached is a removable small plate upon which is indicated the part of the Torah for current reading.